Hotel Artemis is a film with a great premise: An abandoned hotel in the near future that has been revamped into a hospital for criminals. But a great premise can only take you so far. Rather than focus on the one logline, the film sprouts extra threads and can’t decide which story it wants to tell. Is this a story about a couple of criminals who are trying to hide from the mob boss that runs the town? Is it a love story between a thief and an assassin? Is this a film about the nurse who runs the hospital and the tragic reason why she helps criminals rather than the good guys? And what is going on with the riot that keeps popping up outside the building? Done the right way, the film could have been about all of these threads, and it could have been great. But, instead, the script was lazily written, underdeveloped, and lacks the focus to greatly tell one story, let alone a multi-vignette tale. Set in the near future of 2028, Hotel Artemis is the story of a nurse (Jodie Foster) who runs a secret, members-only, hospital for criminals and what happens on a particularly busy Wednesday night. The hospital’s four rooms are already half full with an arms-dealer, code-named Acapulco (Charlie Day), and a French assassin, code-named Nice (Sofia Boutella), when a duo of thieving brothers arrive— one of them badly wounded (Sterling K. Brown, and Brian Tyree Henry). To top off an already busy night, Nurse Thomas— who is already prone to anxiety attacks— must help an injured cop from her past (Jenny Slate) and a mob boss who calls himself The Wolf King (Jeff Goldblum). In a night where one nurse and her orderly (Dave Bautista) are overworked, a group of criminal’s storylines become intertwined, and a wild protest ends up at the hospital’s front steps, all rules are broken. It’s a great story idea, and the film, written and directed by Drew Pearce, showed huge potential. If only the film had followed through on its promises. On the one hand, the acting was decent. Foster, who had disappeared from the spotlight in recent years and was previously known for The Silence of the Lambs, Contact, and Taxi Driver, can act circles around most modern actors. And, though her performance in Hotel Artemis is not her best work, she does not disappoint. Brown, who plays the thief code-named Waikiki and is known for his role as Randall Pearson in This is Us, also gives a strong performance as the reformed robber who wants to get out of the business, but can’t. Waikiki is easily the most likable character and pretty much the only one that we are rooting for. Boutella’s performance as the French assassin is just as cardboard as her performance last year as the French intelligence agent in Atomic Blonde. Goldblum plays himself, as usual, and the remainder of the cast give adequate performances. However, even the best actor in the world cannot make a badly written character great. Pearce had a lot to tell about the world he created, and understandably. I wanted to know. I had so many questions about this future universe, about the characters, about the many storylines and how they connected to each person. In a film with an ensemble cast, it is so important to have strong character development. But it seemed like Pearce was so daunted by the developmental task that he relied instead on shocking action sequences, and the scenes that had the potential for development were skidded over with lazy dialogue and cliched tropes. The film wasn’t all bad. The set design was alluring, the costume design worked, and the action sequences were compelling. However, with the script as weak as it was, the film had no chance. 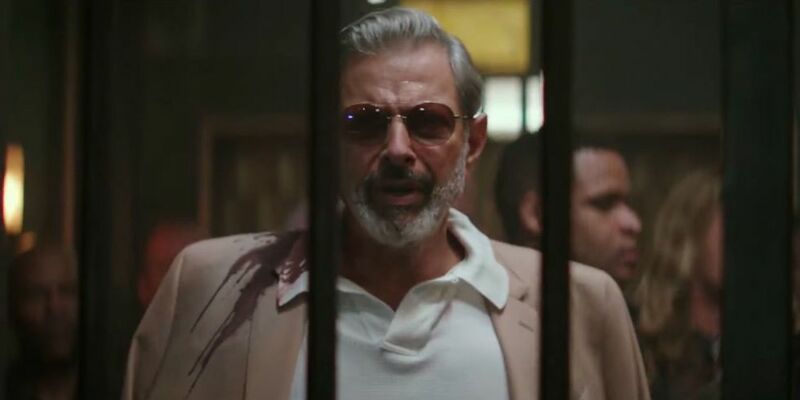 Hotel Artemis was not the worst film I had ever seen. I enjoyed the moments when I wasn’t either bored or rolling my eyes. I don’t regret spending the eight bucks to watch the film, but if I was never presented with the opportunity to see the movie again, I would be just fine. Next Post The Spin-off to the Spin-off, Get Ready for Legacies!